When your first grader comes home with their homework for the first time, it is usually not very much work at all. 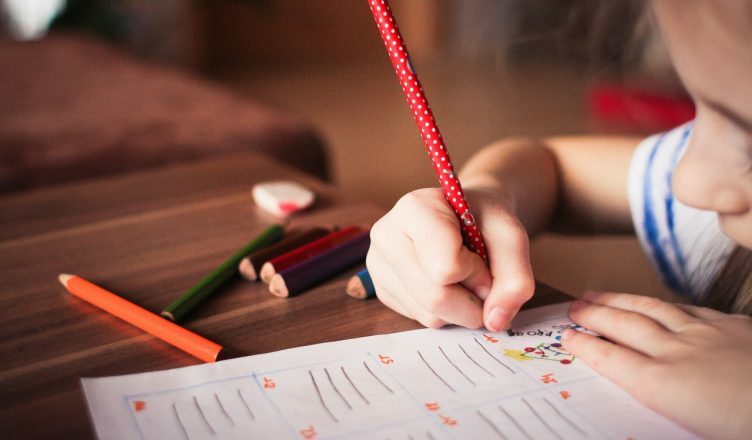 Usually, first graders get very little homework to do every day just to get them used to the concept. The first grade is mostly learning to read and write better. Kids start to know more words and start sounding out others. They may be able to read some books all on their own. They also work on their counting skills, simple addition and subtraction with numbers 10 and below and learn about animals in science. They now need to do work at home on these subjects, so how do you best encourage them to do so? This works especially well with math. You can demonstrate subtraction and addition by using fun objects like crayons or colorful cereal to show what happens when you add or take away a certain amount. Then they can count them and know how many there are afterwards. Visual learning can make it much easier for the material to sink in. Just make sure not to give them the answers even if they are struggling. You will both feel more accomplished when they get it on their own. Try using different voices when you read to them, take them to the zoo to see the animals they learn about, maybe make everything they get right seem very exciting. This can all help them to want to learn more. The more fun learning is, the more they will want to do it. If they don’t like a particular subject, make it fun and see if it gets through easier. Use your imagination to connect with theirs. If you get them a sticker book and buy sheets of stickers in their favorite style then every night after doing homework, they can get another sticker that they can put in their book. You can use this for doing chores and other things as well. You could also reward them with hugs, trips, or whatever you feel is right. As a parent, getting your child to do their homework is your responsibility at this age. There are plenty of different techniques out there for how to motivate them. These are just a few examples. Use anything you think will work best for your child and remember that the longer school is fun, the longer they want to learn and the better they will do.